Aminata Cairo is the lector of Inclusive Education at the Hague University of Applied Sciences. 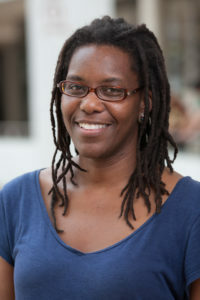 Originally from Suriname, she was raised in the Netherlands and spent her entire academic career in the United States. Over there, she has obtained a Bachelor’s degree in Psychology and Physical Education, a Master’s degree in Clinical Psychology, and Master’s degrees and PhDs in medical anthropology. She has also broadened her knowledge of dance, especially the dance of the African Diaspora. Her PhD thesis explored mental well-being and identity among the African-Surinamese people in Suriname. Since then, she has devoted herself to primarily focus her academic skills on underprivileged and concealed groups of people and she prefers research projects that ultimately contribute to practical solutions. For instance, she has researched Afro-American youth drumbands, literature for children in the transgender community, and educational support for country children in Ghana. For her latest research, on traditional Afro-Surinamese dance, she has received a Fulbright grant. 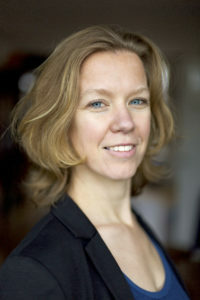 Leoniek Wijngaards-de Meij is associate professor and director of education at the Department of Methodology and Statistics of the Faculty of Social and Behavioural Sciences Utrecht University. Leoniek’s scientific interest lies in the field of multilevel analysis, and enrolment, academic achievement and diversity in Higher Education. In recent years she has directed her focus to interfaculty projects where research and educational innovation meet. Her research activities have focused on the effect of the so-called Matching procedure that aims to help the prospective bachelor student to decide on the final study choice. She has been monitoring the possible effects of the Matching procedure at Utrecht University since 2013 and the monitoring has supported improvements in the Matching procedure. As an expert on the matching procedures she is in close contact with the Dutch Ministry of Education, higher education institutions and student organisations. Rhea van der Dong has completed a Bachelor’s programme in Language and Cultural Studies and a Master’s programme in Governance and Policy at Utrecht University. During her degree programmes, she has been a member of the Faculty Council of Humanities and the University Council. She also completed an internship at the Education Inspectorate. 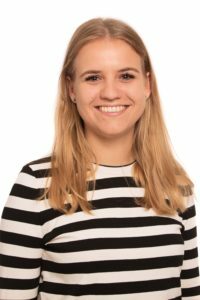 In the academic year 2017-2018, Rhea will represent the interests of students in the Netherlands as the President of the Interstedelijk Studenten Overleg.